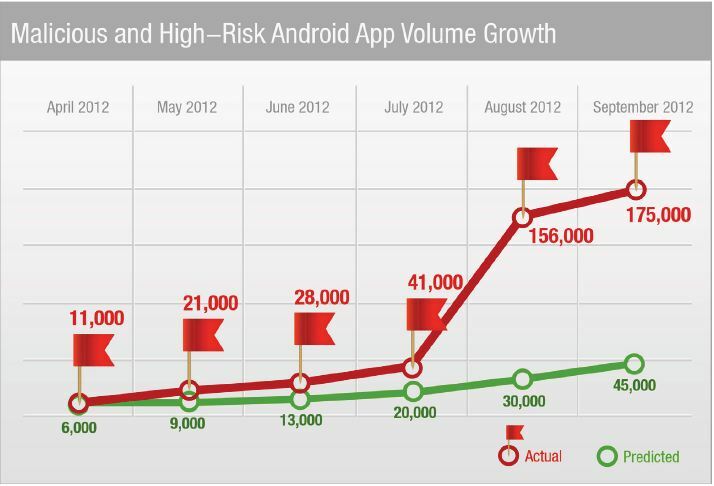 Trend Micro has released the report “3Q 2012 SECURITY ROUNDUP -Android Under Siege: Popularity Comes at a Price” that presents a worrying trend for malware growth increased of 483%. The increment include cyber espionage malware and also destructive malicious agents targeting mainly the mobile world and in particular Google Android platform. 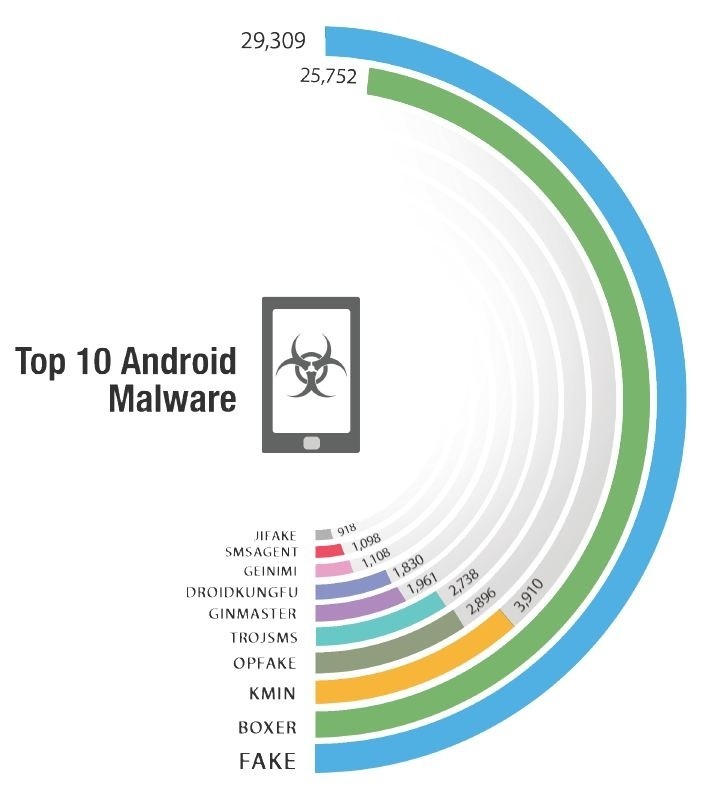 Malware targeting Android platform increased from around 30,000 malicious apps in June to almost 175,000 between July and September. The report alerts on the diffusion of aggressive adware and also of malware developed with the specific intent to gather information without consent of mobile users. Mobile devices has suffered more cybercriminal attacks and the lack of awareness on cyber threat is the main reason of the success of these agents. In many cases mobile adware is considerable as business model to pay app development offered for free but TrendMicro also identified several apps that expose user’s data such as call history and locations. Another potential cyber threat is related by ad networks that provide in-app libraries for developers that intend to create a new application, it has been demonstrated that these libraries collect more data than developers declare and fail to alert users. Once again one of the principal cyber threats is represented by zero-day exploits, impossible to detect that benefit of the latency in patch management and of the lack discipline of users. These exploits expose to high risks organizations and private businesses, in 2011 the total number of critical vulnerabilities was of 1,822. 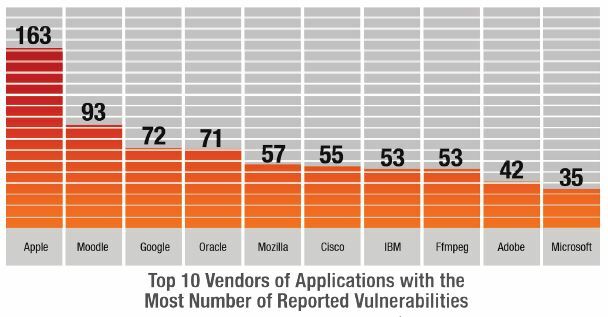 The following graph demonstrates that Apple is the vendor that disclosed the major number of vulnerabilities but the figure doesn’t consider the related level of severity. TrendMicro revealed, such as other security firms, the increased level of complexity of cyber threats that demonstrate the evolution of capabilities of the cybercrime. During last quarter it has been observed a meaningful increase in ZeroAccess malware, that is reached first place in rankings with more than 900,000 detections. The report mentions also the cyber threat related to hacking activities against organization and private companies that exposes to serious risk of disclosure highly sensitive data. 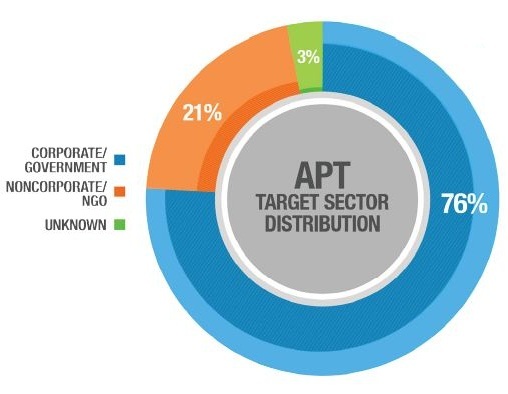 Of particular interest the data related to APT attacks, a singular aspect of the offensives is their adaptation for mobile platform such as Android OSs. Most APT campaigns target organizations in the corporate/government sector because these handle more sensitive data than any other kind of organization. The report is closed with a dutiful reference to social networks and improper use of majority of internet users, we can consider them a mine for cyber criminals and hackers. 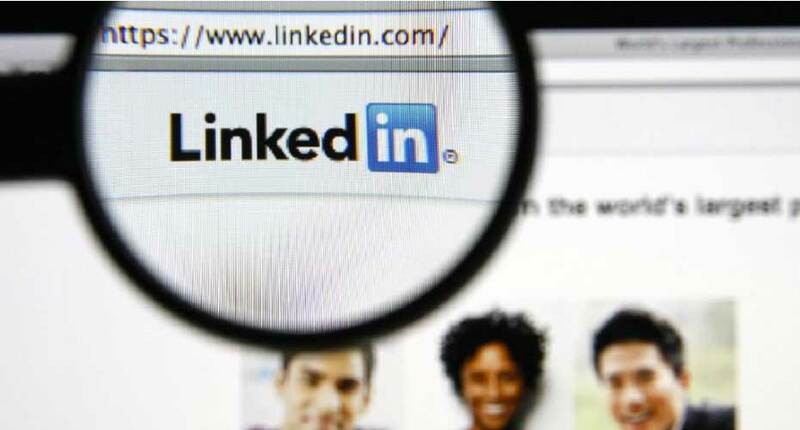 Billions of people daily use social media platform without configure in the proper way their privacy settings. Concluding the report, like many others, reveals the increased number of cyber threats for private and governments sectors, the major concerns are related to mobile platforms and social networks … that’s the price of popularity, and let me add that is just the beginning!